Lyme disease is a bacterial infection caused by a spirochete, a type of bacteria, called Borrelia burgdorferi, which is passed to the patient by a tick bite. Lyme disease, also called active lyme borreliosis, has many symptoms, but skin disorders, arthritis and various neurological symptoms may be present. Examples include a reddish skin rash, headaches, neck pain, chronic fatigue, fibromyalgia, joint pain, emotional instability and mental confusion. Unfortunately, standard laboratory testing is often unable to give clear results of whether a patient is infected or not. The standard serological test ELISA has the broadest detection rate but low specificity. Specificity can be improved with the Western Blot. The test with the highest specificity but with a fairly low detection rate is the PCR test. Borrelia infections are usually treated with antibiotics. Lyme disease is a great imitator of other diseases and is notoriously hard to diagnose. It may be misdiagnosed as chronic fatigue syndrome, multiple sclerosis, fibromyalgia, rheumatoid arthritis and many other autoimmune and neurological diseases, which can lead to the true infection remaining untreated, allowing it to further disseminate the bacteria. If the neurological form of borreliosis is left untreated for years, it may lead to severe debility of the patient. The MELISA technology can now be applied to diagnose active Lyme disease, especially in serologically and clinically unclear cases. A positive reaction in the MELISA test demonstrates current active infection with Borrelia burgdorferi sensu lato. In addition to the standard four recombinant antigens derived from B.afzelii and B.garinii, the test includes three additional antigens derived from B.burgdorferi sensu stricto (a recombinant outer surface protein OspC, a recombinant p41-internal fragment, and a full antigen lysate). What is Lyme disease? Lyme disease, also known as Lyme Borreliosis, is caused by the bacterium Borrelia burgdorferi, which is a spirochete. How is Lyme disease transmitted to humans? Lyme disease is a vector borne disease and transmitted to humans primarily through the bite of a tick that is infected with this bacterium. An infection with the bacterium is a prerequisite for developing Lyme disease. At the same time, not every infected person will develop the disease. What are the symptoms of Lyme disease? After an incubation period of two to thirty days, typical symptoms include fever, headache, fatigue, and a characteristic skin rash called erythema migrans, which often takes a bull’s-eye appearance and is seen in 50-80% of Lyme disease patients. This represents “Stage I” of the disease. If untreated, infection can spread to the joints, heart and nervous system, causing a large variety of symptoms which may persist over months or years (chronic Lyme). How is Lyme disease diagnosed? Lyme disease diagnosis is based on symptoms and the possibility of exposure to infected ticks. Laboratory testing on the blood can then be performed to confirm the infection (presence of antibodies). How is Lyme disease treated? Patients treated in the early stages of the disease usually recover rapidly and completely with a few weeks of oral antibiotics. Patients treated during the late stages of the disease may require longer antibiotic therapy and may have recurrent symptoms. What types of standard tests are available for Lyme disease? Conventional laboratory testing includes the serological test ELISA, which has a low specificity, and the Western blot, which has a higher specificity. Both tests look for Borrelia specific antibodies. These tests can give false negative results, especially in patients with early disease (Stage I) and therefore a misdiagnosis can occur. Lyme disease is often misdiagnosed as chronic fatigue syndrome, multiple sclerosis, fibromyalgia, rheumatoid arthritis and many other autoimmune and neurological diseases, which can lead to the true infection remaining untreated, allowing it to further disseminate the bacteria. If the neurological form of borreliosis is left untreated for years, it may lead to severe debility. What is MELISA and how is it different? MELISA is a lymphocyte transformation test, which detects not antibodies but cellular immunoreactivity characteristic of active infections of Borrelia burgdorferi. The test improves laboratory diagnosis by confirming active disease in patients with clinical symptoms of Lyme. In addition, the test provides an early marker for successful antibiotic therapy, while antibodies may persist for years in successfully treated patients. What is needed for a referral for MELISA testing? If you believe you may have Lyme disease, you should immediately contact your general practitioner. In order to perform the MELISA test for Lyme disease, 20-30 ml of blood along with a special request form is needed. Does insurance cover the test? Many insurance providers will cover the cost of the test along with one round of oral antibiotic treatment; however, you should contact your insurance provider regarding your policy and benefits. How common is Lyme disease in the UK? There were 1,579 laboratory-confirmed cases of Lyme disease in 2017 in the UK according to the Health Protection Agency (HPA). However, this does not necessarily reflect all the cases of the disease. HPA estimated that there could be an additional 1,000- 2,000 cases occurring every year in the UK that are diagnosed and treated without laboratory testing. Who is at risk for Lyme disease? In the UK, Lyme disease is carried by the deer or sheep tick, Ixodes ricinus, which can also feed on deer, birds, and other wild and domestic mammals. The tick is commonly found in woods, heath, and moorland, although it does not live exclusively in these habitats. People who live in parts of the country where the tick is prevalent are at greater risk. How can Lyme disease be prevented? 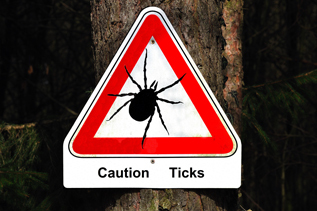 Reducing exposure to ticks is the best defence against Lyme disease. If in a wooded area, always wear long trousers and a long-sleeved shirt and use insect repellent with 20-30% DEET. Also, remove ticks promptly from clothes and perform a tick check before going indoors. If bitten, remove the tick as soon as possible to reduce the risk of infection. Abstract: The aim of this study was to carry out an independent evaluation of the proposition that the lymphocyte transformation test-memory lymphocyte immunostimulation assay (LTT-MELISA) may be diagnostically useful in the confirmation of active Lyme borreliosis in clinically and serologically ambiguous cases. Blood samples from 54 patients consecutively presenting to a British center with clinical suspicion of Lyme borreliosis were tested for this disease by immunoglobulin M (IgM) and immunoglobulin G (IgG) Western blots and by LTT-MELISA. Forty-five of these patients had Western blot results which were negative for both IgM and IgG by the criteria of the Centers for Disease Control and Prevention (CDC); of these patients, 19 (42%) were LTT-MELISA-positive. Two of the patients who had IgM positive results by the CDC criteria were LTT-MELISA-negative. It is concluded that, for putative European-acquired Lyme borreliosis infections, it would be sensible to carry out both the LTT-MELISA and Western blot assay. Diagnosis of active Lyme borreliosis (LB) remains a challenge in clinically ambiguous, serologically indeterminant, and polymerase chain reaction-negative patients. Lymphocyte transformation tests (LTTs) have been applied to detect specific cellular immune reactivity, but their clinical application has been severely hampered by the poorly defined Borrelia antigens and nonstandardized LTT formats used. In this study, we describe the development and clinical relevance of a novel LTT using a validated format (MELISA) together with well-defined recombinant Borrelia-specific antigens. From an initial screening of 244 patients with suspected Borrelia infection or disease, 4 informative recombinant antigens were selected: OspC (Borrelia afzelii), p41-1 (Borrelia garinii), p41-2 (B. afzelii), and p100 (B. afzelii). Thereafter, 30 seronegative healthy controls were tested in LTT-MELISA to determine specificity, 68 patients were tested in parallel to determine reproducibility, and 54 lymphocyte-reactive symptomatic patients were tested before and after antibiotic therapy to assess clinical relevance. Most (86.2%) of the 36.9% (90/244) LTT-MELISA positive patients were seropositive and showed symptoms of active LB. Specificity was 96.7% and reproducibility 92.6%. After therapy, most patients (90.7%) showed negative or markedly reduced lymphocyte reactivity correlating with clinical improvement. This novel LTT-MELISA assay appears to correlate with active LB and may have diagnostic relevance in confirming LB in clinically and serologically ambiguous cases.